The Ribblesdale Stakes has been a profitable race for the Irish in recent years as they have been responsible for the last two winners and there is a strong chance that the hat-trick will be completed this year with 5/2 favourite Alive Alive Oh. Banimpire and Princess Highway have been the only two Irish runners in this race in the last decade that have not come from the yard of Aidan O’Brien and these have both been success stories. Alive Alive Oh comes from the yard of Tommy Stack and could not have been more impressive in his form to date, most noticeably when putting a Listed Race at Navan to bed in a few strides last time. The last five winners of this had all previously triumphed in either Listed or Group company and this suggests that Just Pretending will be a leading challenger at 6/1. Having won a Group 3 1,000 Guineas Trial, she then headed to the Curragh where she got within two lengths of Just The Judge. This form is strong, but she is not guaranteed to stay the Ribblesdale trip of 1m4f, having only competed over a maximum of 1m to date. One horse that has the proven stamina is The Lark, who has only improved when stepped up in trip. 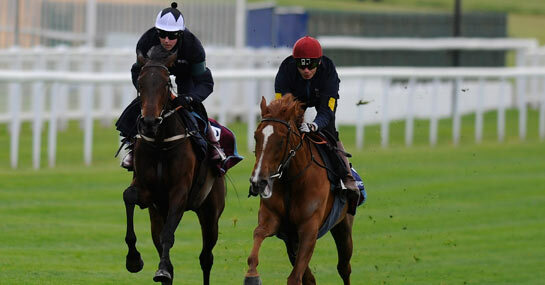 She was third in the Oaks last time, but having encountered some trouble in running when attempting to make ground up the inside rail, there is every possibility that she could have got closer to eventual winner Talent. This may make her the most proven in the field, despite her only win in four starts coming in a Doncaster maiden and she has some appeal at 5/1. Of the outsiders, Riposte could not have won much more comfortably last time on her first attempt at 1m4f and is entitled to improve again here. She is available at 10/1.